We live in the cupcake era. There are trucks racing through cities serving them, reality shows dedicated to the creation of them, stores that have lines around the corner that solely serve them. It’s all about the cupcake. 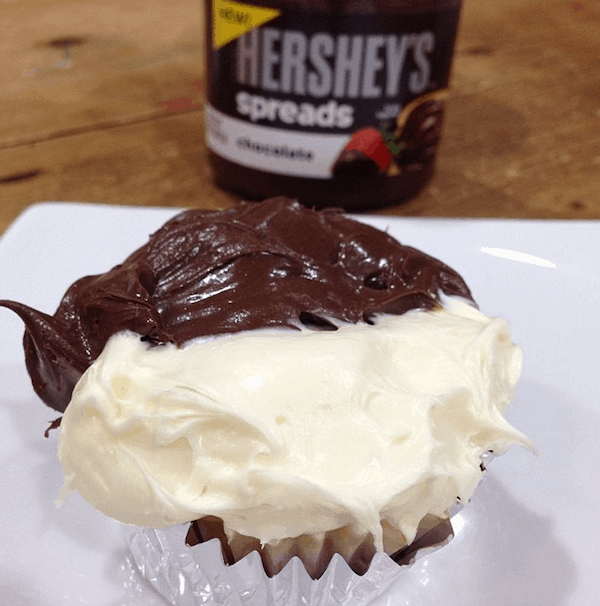 So, it makes sense that I wanted to use Hershey’s Spreads to upgrade a cupcake I recently baked. My husband LOVES black and white cookies which is where I got the inspiration from. I had vanilla frosting and decided to split the top layer in half and create a cupcake version of that very famous sugary treat. The result? BLISS! 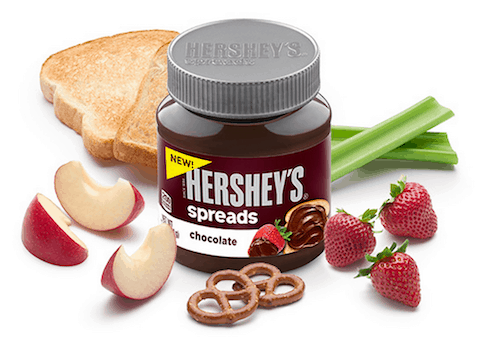 Hershey’s Spreads can be used in countless way. Have a little fun – think outside the box! Or in this case… the cupcake tin. 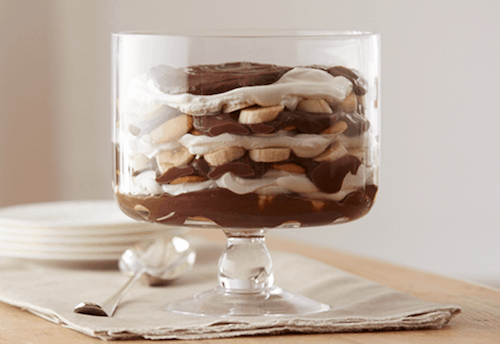 Are you looking for more Hershey’s Spreads inspiration? The brand has several recipes on their sites and one is better than the next. Click here to check out the GOODS. YUM and YUM! Remember — there are three available flavors to choose from: chocolate, chocolate with hazelnut and chocolate with almond. So, if you want something with more of a nutty taste it is on shelf right now.